The first European CRISPR trial has commenced. Researchers will be investigating whether cells modified by CRISPR can produce more hemoglobin and alleviate the symptoms of beta-thalassemia. According to the U.S. Centers for Disease Control and Prevention, approximately 100,000 Americans have sickle cell disease and approximately 1 in every 365 Black and African American children are born with the disease. As many as 90 million carriers of beta-thalassemia globally with approximately 60,000 individuals born with the disease. There are hopes that both blood diseases can be effectively treated with CRISPR. Individuals with sickle cell anemia have atypical hemoglobin molecules which distort blood cells and cause them to burst, which can lead to anemia. 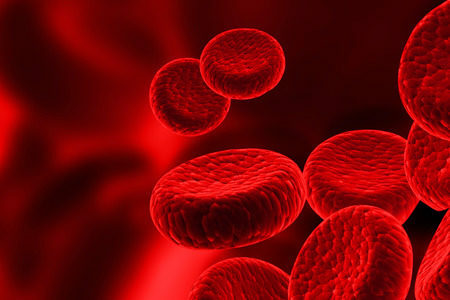 Individuals with beta-thalassemia have reduced or absent synthesis of beta chains of hemoglobin which also leads to anemia. Both blood disorders are caused by gene mutations. The trial will see the CRISPR-Cas9 gene editing tool used to edit genes in cells taken from the patients. Specifically, CRISPR will be used to correct the genetic mutation on the HBB gene on chromosome 11 that causes beta-thalassemia. CD34+ Hematopoietic Stem and Progenitor Cells (hHSPCs) will be taken from each patient, modified using CRISPR-Cas9, and then reintroduced into the patients’ blood streams. If successful, patients with beta-thalassemia would have their hemoglobin levels corrected to normal or near normal levels and would no longer require blood transfusions. While CRISPR-Cas9 gene editing has shown considerable promise and has been shown to allow scientists to edit genes with a high degree of accuracy, some recent studies have suggested that the current techniques may not be so precise as was first thought and that additional, unwanted gene edits may occur. One study by researchers in Sweden suggests that CRISPR-Cas9 gene editing can also increase the risk of cancer. However, even with the risks, the European CRISPR trial has been green-lighted. Patients started to be recruited for the clinical trial in September. Initially up to 12 patients will take part in the trial, although the European CRISPR trial may be expanded to up to 45 patients. The primary completion date of the study is February 2021 and the estimated study completion date is May 2022. A similar trial is expected to commence in the United States now that the FDA has given its approval to Boston’s Vertex Pharmaceuticals and CRISPR Therapeutics which are sponsoring the trial.